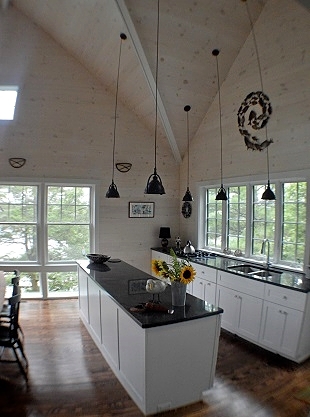 Paul E. Morgan has been building homes in coastal Maine for over 35 years. His belief that building anything is a result of good design, competent oversight and constant communication with his customers, has given him a reputation for quality and integrity. Combined with a thorough understanding of what makes the components of a building work, practical material selection and attention to detail, Paul Morgan Builders will build you a new home or renovate your existing one to last and save you money. Whether your project is a new custom home, renovation, kitchen or bath remodel, deck, dock or bridge, their goal remains the same. To build what you want, complete it on time and on budget. 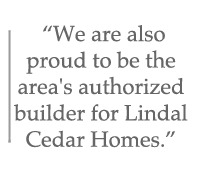 Paul E. Morgan offers an array of construction and design services. 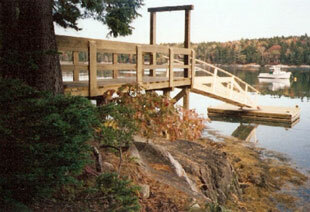 From a classic Maine farmhouse to a contemporary Lindal Cedar Home with a dock, there are no limitations. They specialize in building, remodeling renovating and restoring new and custom homes. With over 30 years in the area they also have assembled a team of tried, true and trusted subcontractors to make sure all your work gets done right. Call Paul to discuss your upcoming project and learn more about his completed projects and services. When you have been building coastal Maine homes since 1975, is inevitable that your customers will want the structures required to access their property and shore frontage. Paul E. Morgan Builder is the area's foremost builder of Wharfs, Seawalls, Floats, Ramps, and Bridges and has constructed some of the finest examples you will find around. And they approach these projects with the same dedication they do everything else. Good safe design, quality materials plus the traditional “local knowledge” that you will only get with an experienced coastal Maine builder. 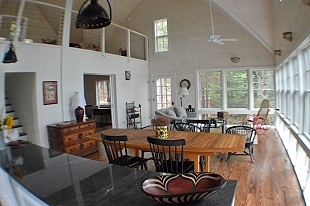 Visit www.paulmorganbuilders.com to see great examples of their work.